Material - made of rice paper with metal supports.They can be used for party decoration, centerpiece, and/or party favors. Where to decor? - Paper lanterns can be hung from the ceiling, mounted on walls or used in table centerpieces. 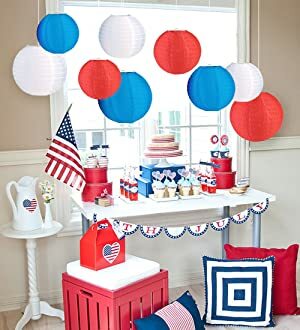 Fit occasions - Patriotic color scheme makes them perfect for Memorial Day and Fourth of July party celebrations or other occasions. How to use? - Lanterns will arrive flat with a wire frame, ready for easy assembly.String them together, hang from trees or umbrellas.They can also be painted and decorated making them perfect for fun activities! Reusable - You can easily fold them down and store to use again. 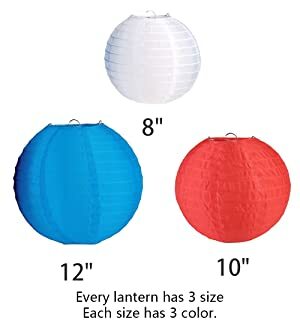 Display your American pride with Red, White, & Blue Lanterns. 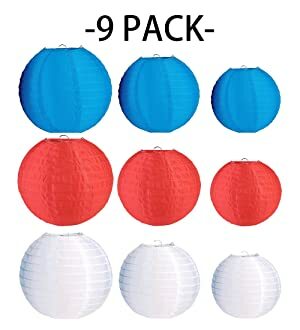 Hang these lantern decoration for election events, patriotic parties, or 4th of July celebrations for a red, white, and blue look every American will love! 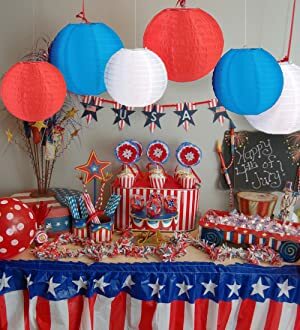 Patriotic decorations are must haves to make your 4th of July, bbq, or summer party an event to remember. 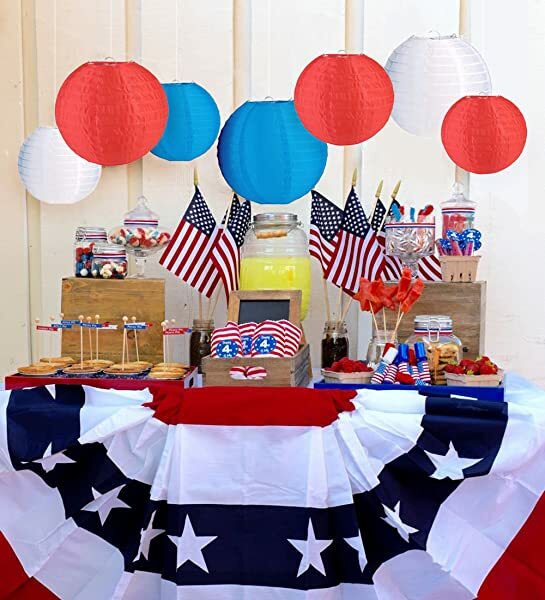 Your guests will love USA inspired party supplies for all of your warm weather events this year!